Sometimes, an unexpected change in careers brings upon greatness. In Felix Semper’s case, it’s brought him international artistic success and the attention of celebrities. Born in Cuba and raised in Spain, Semper is an electrician by trade and was a Greensboro custom home builder when the housing crisis hit in 2008. He had close to $5 million in property built under his business Semper Homes, and they weren’t selling because the banks weren’t lending. He had always been creative and artistic. He loved to sketch. So he started teaching himself how to paint. Soon he was selling the paintings, and opened a studio in Revolution Mills. One day, Greensboro got a very heavy snow. Felix started playing with the snow. “I made this beautiful sculpture. I couldn’t event believe I did it,” Felix says. He started taking sculpture classes, but he wasn’t impressed with the plaster work most of his classmates were doing. He recalled a previous job he had working at a print shop, where they sliced stacks of large paper. It inspired him. It took a year of experimentation to create his signature medium: stacks of glued paper that can be stretched like an accordion. “If I am going to be successful at this, I can’t do what everyone else is doing. I have to be different,” Felix says. Felix’s work evokes pop culture and pop art. 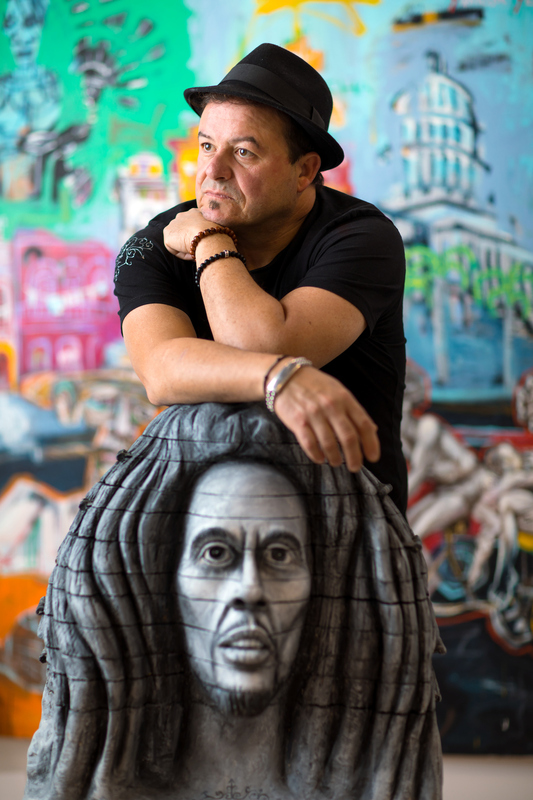 He’s made busts of icons like the Notorious B.I.G. and sculptures of potato chip bags or Cheez-It boxes, made from 7,000 sheets of paper. 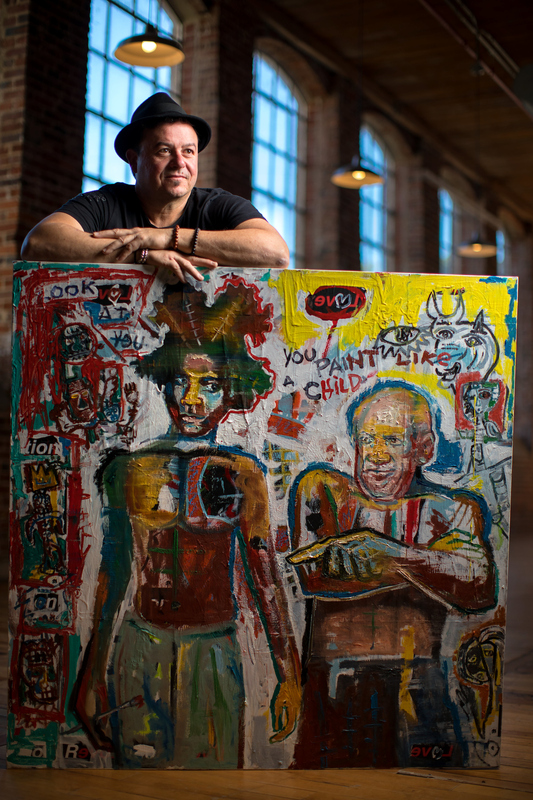 He’s inspired by Pablo Picasso and Jean-Michel Basquiat, as well as things around him. Felix has an upcoming exhibit in Marbella, Spain. 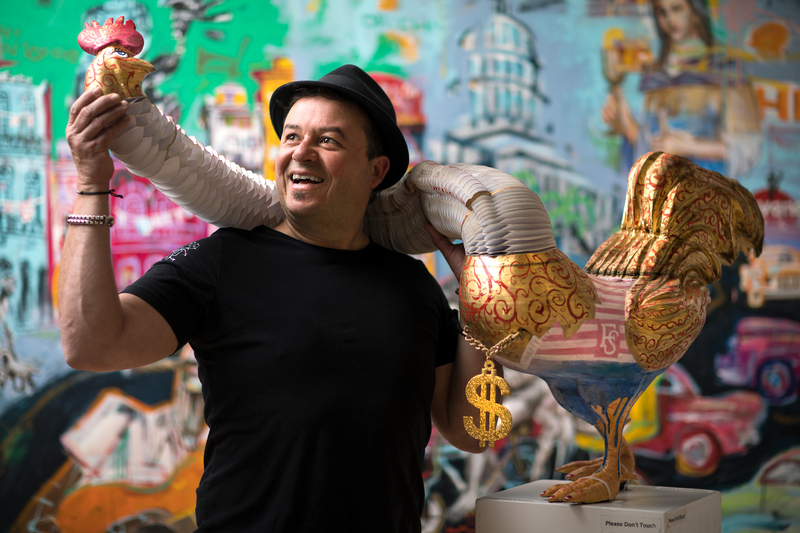 He’s recently sold two pieces to television host Wendy Williams. He also worked on a commission for a recording artist. The piece is meant to go on the artist’s next album cover.